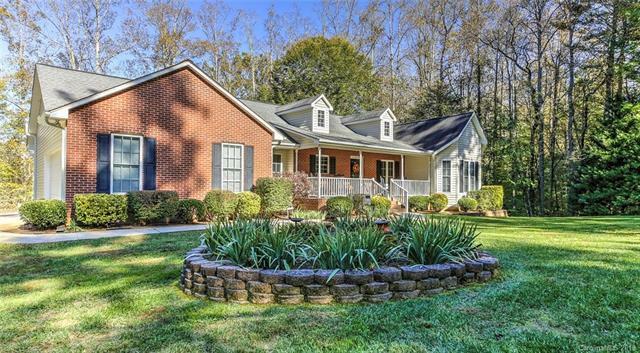 This beautiful home is open and spacious and sits on 1.6 acres Creekside. Upon entering you are welcomed with Cathedral ceilings in the Living room, Dining area and kitchen. Enjoy the Large master bedroom with trey ceilings, a walk in closet and separate door to back porch. Master bath has separate tub and walk in shower. Guest bedrooms are spacious as well. Main level parking in the 2 car garage. Now lets talk about the basementThis fully finished basement has so much to offer even natural light. The spacious family room area gives the perfect space to unwind or to entertain. The bonus room with double closets....would make a great craft room or office. Also has a full bathroom and workshop space. Home is conveniently located to Asheville, Brevard, Hendersonville, the Asheville airport, schools, and shopping. So much to see, schedule your showing today. Offered by Century 21 Mountain Lifestyles/S. Hend. Copyright 2019 Carolina Multiple Listing Services. All rights reserved.